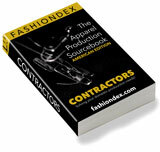 FIDUCCIA CUSTOM SHIRTS solving Shirts & Tops production and contracting needs. Description: Custom made dress and sport shirt specialists. Specialize in wovens. Compare FIDUCCIA CUSTOM SHIRTS with all 35 listings in Shirts & Tops.